Yay... 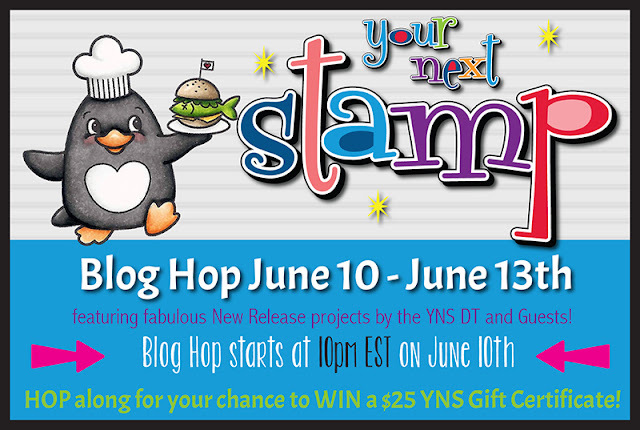 It's time for the Your Next Stamp June Release Blog Hop!! Be sure to hop along and leave comments along the way for a chance to Win a $25 GC to the store. 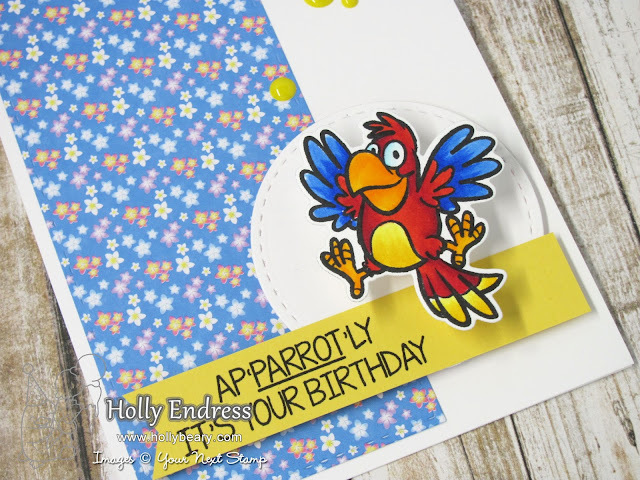 My first project features the Parrot-dise Stamp and coordinating Die set and the new Tropical Paradise 6x6 Paper Pad. I also used a few of the new Tropical Paradise Gumdrops. I colored the image in with Copics and then I adhered it to the front of the card with a mini action wobbler. I used the Stitched Rectangle Die set to die cut a piece of the pattern paper and added it along the side of the card front. I used the Circle Dies and Circle Stitching marks die set to create the circle behind the Parrot. My second card features the new set Splish Splash Fun. I keep my card simple and colored the image using the same colors as you will find on the website description. I like images like these that have a color guide, it's great practice for your Copic Coloring. I stamped the image onto some Neenah Solar White cardstock and then I used the Large Stitched Rectangle Die to cut the panel out. I added some Fun Foam to the back panel, then I adhered it to a A2 Size White card base. All the new release products are now available in the store. 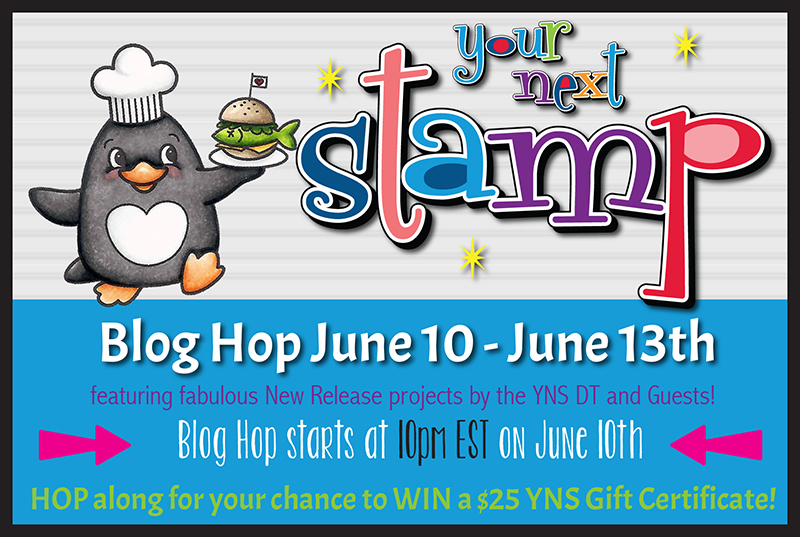 Are you ready to Hop along and see all the Fun new products?? Your cards are really cute! I like the idea with the action wobbler and the parrot. I keep forgetting about the wobblers and never use them. Now I'm inspired! Love both these cards. The kitten is so cute and a gteat idea to use a wobbler on the parrot ad he looks like he wants to flap about. Great inspiration! The kitty card is so cute. I love the colorful parrot. Cute cards! I love when stamps have color guides too...sometimes picking out the colors is just another decision I don't want to make! Cute cards and great coloring! A wobble card! Love it! My grandkids just love them, too! What fun! Very cute cards, I love the parrot and that sentiment. Love that the parrot can move! Both of your cards are so adorable and your coloring is so beautiful!! Love those parrots! Thanks for using one so I can get a design idea. The wobble is fantastic! Both cards are so awesome. Thanks for the inspiration. that kitten is too cute - love your coloring. the wobble is perfect for that parrot too! Cute cards! The cas design is wonderful. The coloring on both cards is so pretty. The parrot is having so much fun. 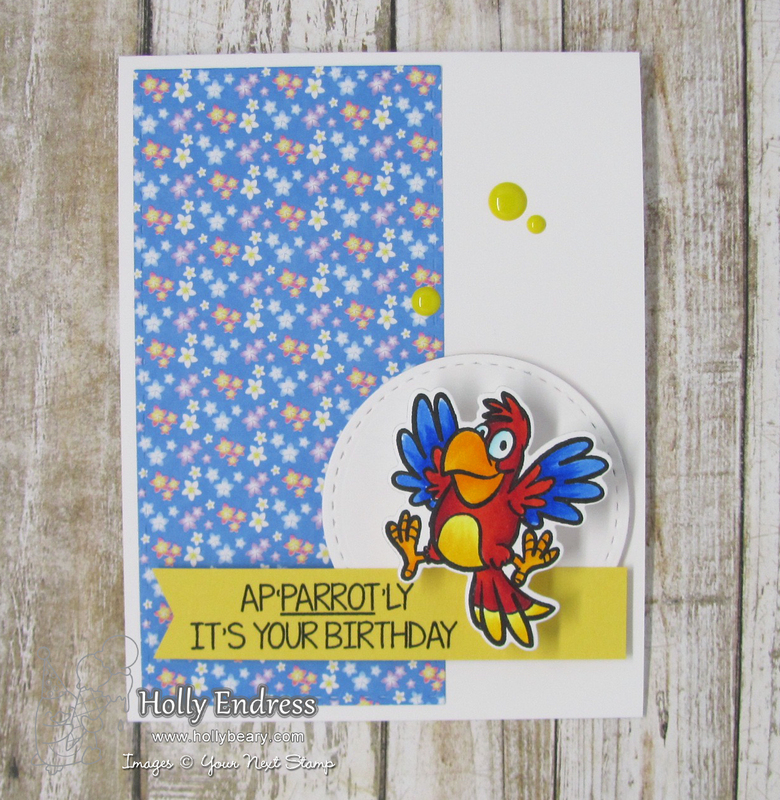 love your cards and especially matching your background so prettily to your parrot!! ,stunning!! Super cute cards. Love the parrot. Love the cards! That action wobbler is perfect for your parrot card! Thank you for sharing these wonderful animal cards! So cute! awesome. And I love the super cute little toad. "squeal"
Gorgeous cards!Love the coloring of the second one! Holly, these two cards are delightful. Can't get enough of that parrot! Thanks for sharing. Love your cards. I need the parrot stamp set. Very cute cards. I like your coloring and the wobble. Both cards are adorable, Holly. Love the colors and wobbler on the parrot card. Your cards are awesome . I just love the new parrot stamp set . How Cute! You are so good to show the wobbler in action. Lovely CAS card too. Very cute parrot and love the sweet kitty card. 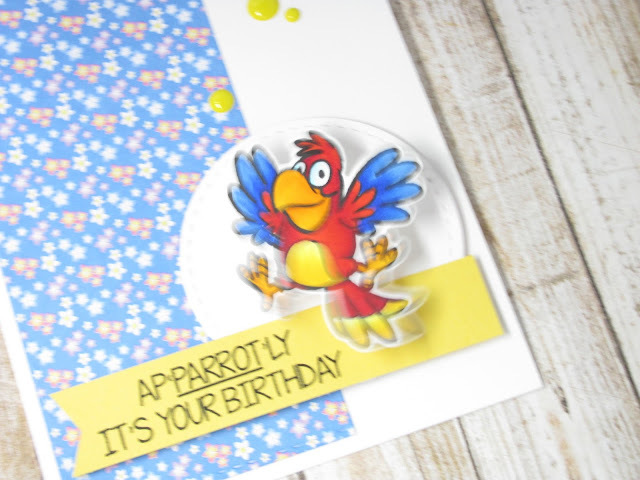 Love the parrot's wings matching the background paper and the bling is perfect!! The parrot card is so fun (Love the wobbler! ), and that kitty is too sweet! Fabulous job! Adorable cards. Love the stamps.